QUESTION: Are there any foods to help my skin look great? ANSWER: Aside from using sunscreen and avoiding cigarettes, foods can have a big-time impact on the health of your skin—beauty truly starts from the inside and radiates outward. Eating plenty of fruits and veggies is your best bet because they’re loaded with beneficial vitamins, minerals and antioxidants. And research shows that two nutrients seem to stand out the most; they are beta-carotene and vitamin C.
First up is beta-carotene, which I like to call “nature’s exfoliant.” Beta-carotene promotes cell turnover, helping your skin slough off old cells and replacing them with healthy new ones so your complexion maintains that dewy, fresh, youthful look. In terms of the best food picks rich in beta-carotene, think bright orange and dark green produce, like sweet potatoes, carrots, winter squash, spinach and kale. Next is vitamin C, which is a natural antioxidant that helps defend your skin from damaging free radicals, particles that can age skin. 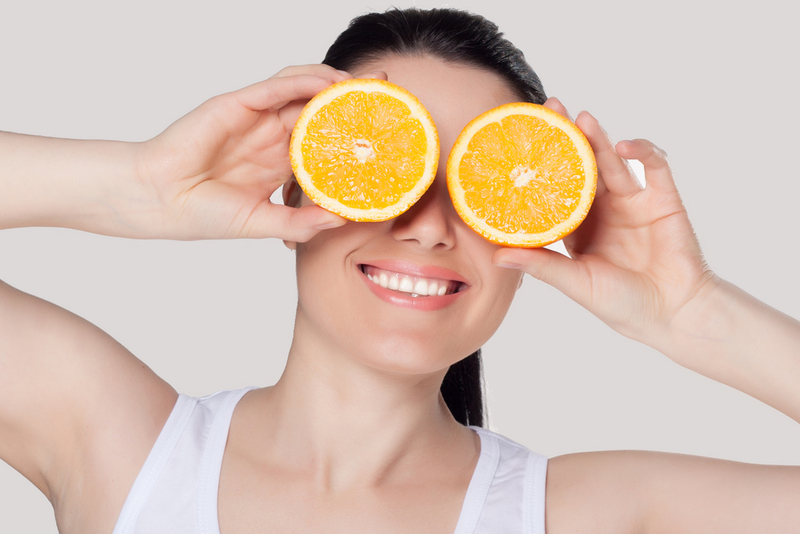 Vitamin C also helps your body produce collagen, a protein that keep your skin firm and elastic. Some of the best C-rich foods include the “3 Bs” (broccoli, Brussels sprouts and bell peppers) along with citrus fruits and strawberries. Aim to include at least one of these beautifying bites in your diet daily—it might be easiest (and more cost-effective) to stick with one, but if you like variety, switch it up and dig in. My Pretty Potion is a delicious way to get two of them in one shot. Or try my Sweet Potato Fries, Cumin-Roasted Carrots and Kale Chips to get your fix.